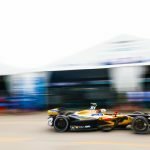 Jean-Eric Vergne took first place in the final practice session in Santiago ahead of ABB FIA Formula E’s fourth round of season four. 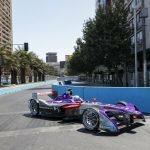 He was followed by DS Virgin Racing’s Alex Lynn and Panasonic Jaguar Racing’s Mitch Evans. Sebastien Buemi, Andre Lotterer and Lucas Di Grassi were the first ones to lead the standings before the first five minutes were completed, the early benchmark a 1:30.653s, about ten seconds off Sam Bird’s lap from FP1. A few minutes later, FP1 records were smashed: Lynn moved to the top right after ten minutes gone, setting a 1:18.692s, closely followed by Evans and Mahindra Racing’s Nick Heidfeld. After setting FP1’s fastest time, Bird was in fourth, half a second behind his DS Virgin Racing team-mate Lynn, who had a gap of almost two tenths to Evans and Heidfeld, who remained in the top reaches of the timings. 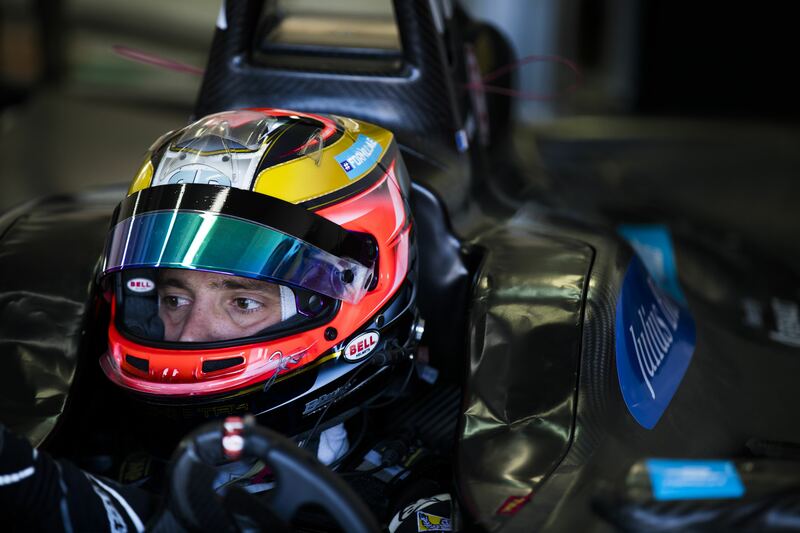 Later on, Edoardo Mortara moved up to fifth. With five minutes to go, nobody managed to complete any 200kW laps. José-María López had a moment when he had a light contact with the wall after some oversteering. Despite no damage was visible in his car, he was called back to pits and switched car. Only on the last two minutes, the drivers dared to go to 200kW, but Nico Prost crashed his Renault e.dams at turn nine, causing the red flag to be waved. This incident ended the session. 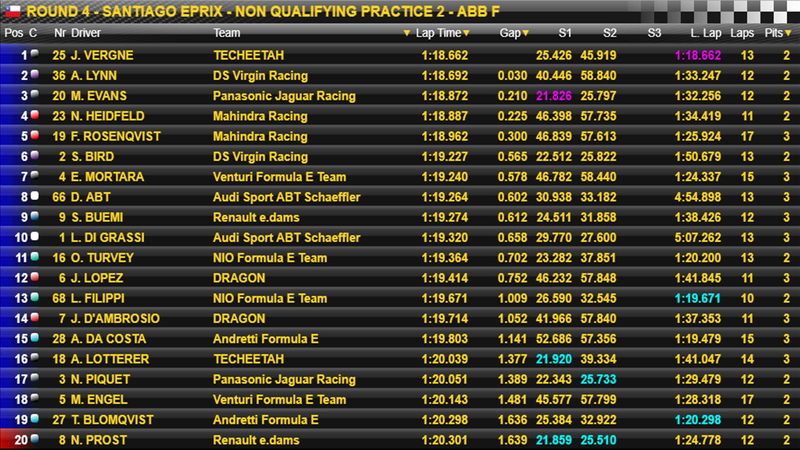 The only driver who could set a lap was Vergne, who topped the times by 0.030s with a 1:18.662s. Lynn finished in second, followed by Evans, Heidfeld and fellow team-mate Felix Rosenqvist.